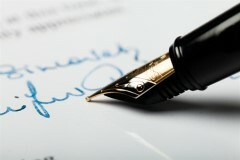 I am uniquely qualified to opine on standards and practices within the life and disability insurance industry especially as it applies to the approval and denial of claims, the process of investigation of claims and the standard practices of life insurance companies as they apply to death and disability claims handling. Since 2006, I have independently represented claimants in the recovery of numerous death claims. This work includes obtaining records from medical institutions, police reports, death certificates, medical examiners, trust documents, financial records, phone transcriptions and other relevant documents. I work with insurance company’s internal and external investigators, legal advisors and claims underwriters. This work, in addition to acting as an expert witness in several death or disability claim lawsuits, has given me access to multiple insurers claims manuals, claims processes and procedures.I have extensive experience in life insurance underwriting practices. I have personally worked with and settled death claims totaling over $35 million dollars from companies such as Penn Mutual, Prudential, UNUM, MET Life, American General, HSBC, Globe Life, National Life of Vermont, Sears Life, Farmers Insurance, Amalgamated Life, Western & Southern Life, Forester’s Life, Starmount Life, John Hancock and State Farm. As an expert witness I have been named in cases specific to death and disability claims involving National Life of Vermont, UNUM, Farmers, Sears Life, Guardian, Jackson National, MET Life, New York Life, Five Star Life, Liberty Life and State Farm. In the scope of this work I have seen the standards and practices of insurance company’s claims departments as well as their legal department’s treatment of claims decisions.